I acquire good and rare books almost every week. I don't have anymore space for all my books. But there's a story wrapped in every buying. Around mid-August 2012, I saw an interesting book that caught my attention at Bestsellers Bookstore (sister company of National Bookstore) at Robinson's Galleria: LOOKS: Why They Matter More Than You Ever Imagined by Gordon L. Patzer, PhD. Harbound at PhP350. It's still expensive for me for a bargain price. Originally it's PhP1,245 that became PhP700. 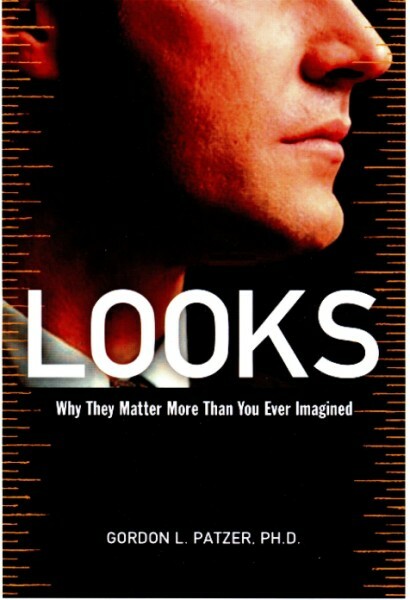 The book got me interested because it tackles about how looks can benefit a person. The first part of the blurb (at the back cover) says: "Both eye-opening social history and cautionary tale, Looks exposes the pervasive, sometimes pernicious impact that physical appearance can have on your life from cradle to grave. It's true that beauty pays. Better grades, success in romance, higher salaries - these are just a few of the well-documented advantages bestowed upon the good looking at the expense of everyone else..." Who will ever resist this wonderful book? I have bought SO MANY good books from this bookstore at bargain prices over the past months. Sometimes I do reserve the books I like due to the following reasons: (1) I can't carry further books anymore; (2) I will have to think about it because price is still high; or (3) I will have to check at home if I already have the title/s in my collection. I reserved the book Looks: Why They Matter and assured them that I shall return to get the book. For the past reservations I made, I really went back and purchased them. I even wrote my name and my mobile number on a small paper and they taped it on the front cover. In my mind, I said that I will have to check this book in Booksale bookstore branches I frequent to - hoping for a better deal. After about 10 days, I went back to Bestsellers for this book. It's gone! I panicked! They said that they already returned it to the area of bargain books. So I rummaged through the stacks again but to no avail. I was very disappointed. I even told them that I have never reserved books with them without my assured return. They promised me that they will try to look for it if the book was still around. But since I didn't see the book after my search again, they said, the book was probably happy in other's hands. Four weeks later, on October 9, 2012, I called Bestsellers Galleria branch asking about the book if they found it. No favorable response. But since I have another purpose for going to Robinson's Galleria, I still passed by the bookstore. I did the same routine of searching all the bargain books on display. Yes, only the bargain books can capture my attention! I saw a few good books again. But when I almost finished checking every book in the "bargain" section, and almost left the stacks, to my biggest surprise, I got reunited with the book - same at PhP350!!! It hasn't left me after all. I realized that when the book is meant to be yours, it will be yours. Thank God! 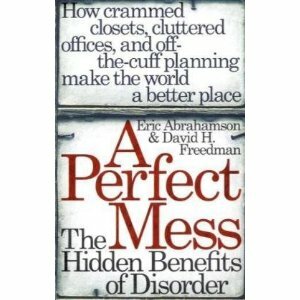 The other book I bought: A Perfect Mess: The Hidden Benefits of Disorder by Eric Abrahamson & David H. Freedman (PhP161.50). This book got printed in many different editions, thereby having different cover designs. But this particular book is the one I have.